Local and foreign sculptures and paintings. 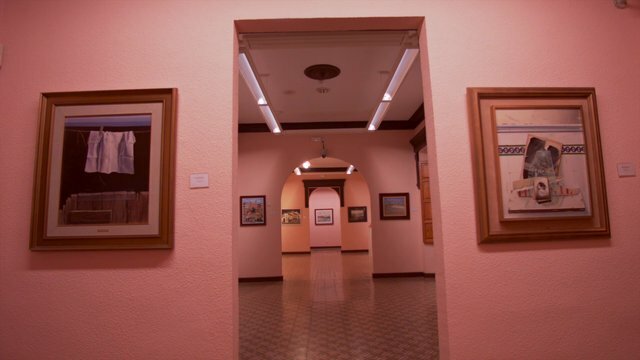 The Badajoz Fine Arts Museum is a compulsory visit for those who are interested in art. Opened in 1920, this art institution in Badajoz has increased its collection considerably since then. Acquisitions, donations, legacies and deposits have increased the number of paintings and sculptures on display. The museum's assets are not limited to its content, but also extend to the container. The same buildings that house all the works are, at the same time, a sample of and a tribute to Extremadura art. Between their walls, you can admire regional and traditional painting that, to a great extent, defines the character of the museum. Besides local themes and artists, amongst the several hundred artists represented, you will find samples of paintings by Zurbarán and Goya. However, you'll find that most of the collection is made up of artworks from the 19th and 20th centuries. Amongst these, the etchings by Picasso and Dalí are worth highlighting, as are the drawings by the poets Federico García Lorca and Rafael Alberti.